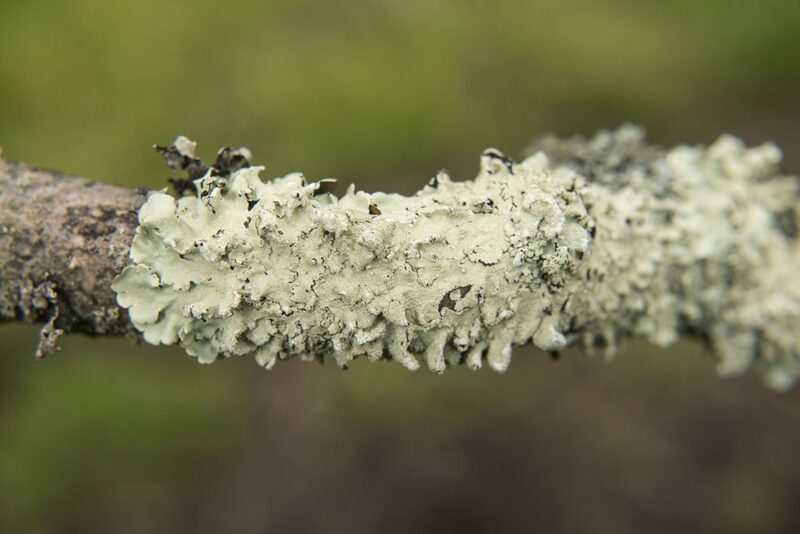 Look out for this apple-yellow leafy lichen called Flavoparmelia caperata on the Azalea branches. 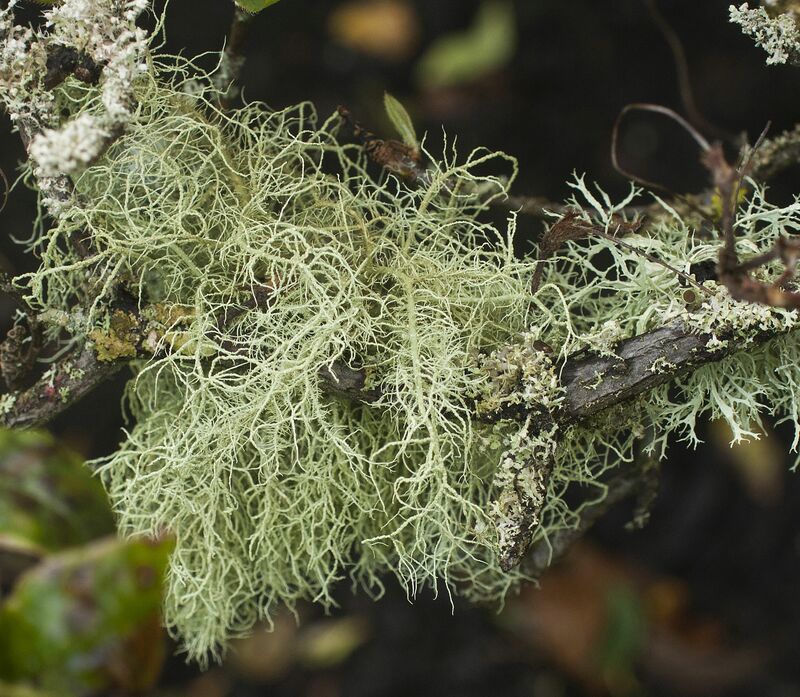 Lichens don’t harm the plants they grow on. They add important species and structural diversity to any habitat helping to keep them healthy and more resilient to change. 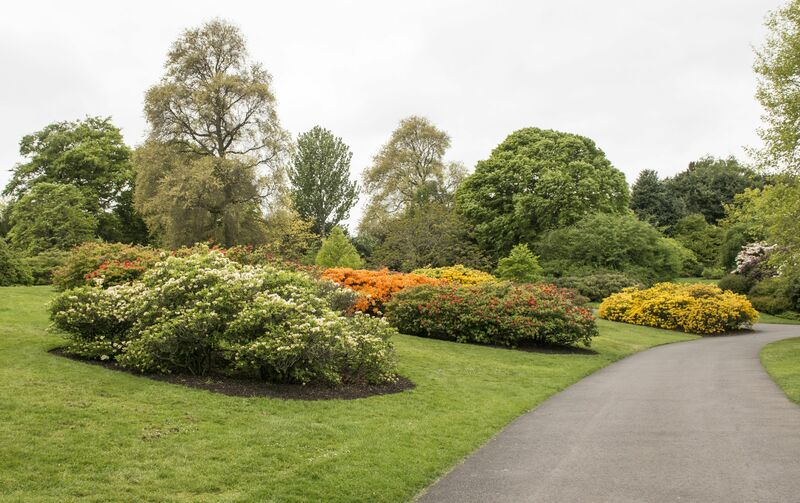 In the 1970’s there were no bushy lichens in the Royal Botanic Garden Edinburgh. This was due to very high levels of air pollution from the industrial factories that belched out sulphur dioxide in particular. Most lichens are very sensitive to air pollution and won’t grow unless the air is clean. Here in the centre of the garden and in the tops of the trees bushy lichens have started to make a come back. We even have a lichen growing here that hasn’t been seen in Edinburgh since the mid-1791! Air pollution today, although much better here in Edinburgh than it was in 1970, has not gone away. Unlike the smelly smogs of past air pollution which were hard to ignore, air pollution today is invisible, made up of harmful particulate matter and oxides of nitrogen. However due to lichens sensitivity to air pollution, lichens can help make the invisible nasties visible. The presence or absence of certain lichen species can tell us a lot about our local air quality. If you would like to find out more about your local air quality please see our Lichen Urban Air Quality Survey and the Scottish Air Quality website.